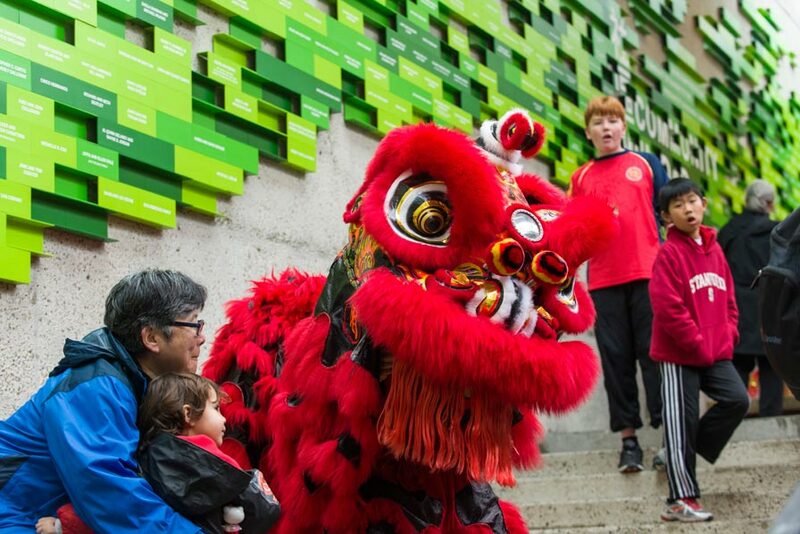 Join OMCA for the 16th annual Lunar New Year celebration, a fortune-filled family-friendly event to welcome in the Year of the Rooster and celebrate Valentine’s Day. Enjoy live performances and an array of Asian traditions in arts, crafts, food, demonstrations, and so much more. Explore connections between the diverse Asian cultures represented in California, including Chinese, Tibetan, Korean, Vietnamese, Malaysian, Japanese, and other Asian cultures. Students from the Developing Virtue Secondary School will perform traditional lucky lion and dragon dances. Enjoy live cultural performances to bring in the Year of the Rooster. The event will include New Year songs performed by the Dharma Realm Chinese Orchestra, a Japanese Taiko drumming performance by Jiten Daiko, Balinese dance, martial arts demonstrations by Vovinam America, and contortion acrobatics performed by Teri Wing. A 24-Festival Drums performance highlights a festive tradition from Malaysia, along with K-pop dance, Korean drumming, and magic shows by the Magic of Jade and Goofball. Experience cooking demonstrations, a tea ceremony with Fabula Tea, an opportunity to make Tibetan prayer flags with a master Tibetan Thangka painter, Jamyong Singye, a demonstration of Bok Junomi, or Korean lucky money bag-making, plus plenty more hands-on activities for kids. Try out cultural games and prizes for the kids, Chinese tea tasting, and fortune telling with the School of Yimutology. Families will enjoy Lunar New Year story time with author Oliver Chin, storytelling with Nan Zhou from DEAF Media, and popular annual favorite the Little Explorers Petting Zoo. Families can also enjoy demonstrations of calligraphy, face painting, participate in art workshops led by DEAF Media, and more! Enjoy a delicious Asian-influenced menu from Blue Oak café, as well as a selection of Asian-influenced food trucks. Plan ahead! Download the Lunar New Year Program (PDF) in advance for performance times and locations. All visitors are encouraged to use public transportation. OMCA is conveniently located one block from the Lake Merritt BART station Limited flat rate parking will be available during the event for $7. Get more information on directions and parking.